Click the back-next buttons to navigate through the images. Images are captured at 720P, so see the images in full screen for more details. 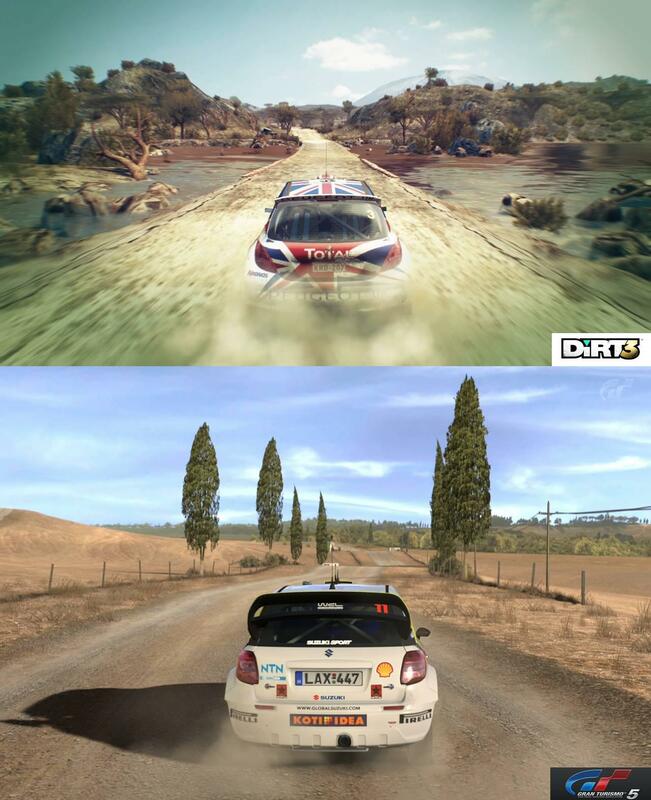 Take a look at this comparison as we pit Dirt 3 and Gran Turismo 5 under gravel and snow tracks. Also pay close attention to the lighting and shadow effects. ***Please note these are gameplay images.